Shinn-Cunningham’s leadership of the new institute will coalesce Carnegie Mellon’s existing resources in neuroscience in order to expand collaborative research across the biological sciences, cognitive neuroscience and psychology, as well as deepen connections to Carnegie Mellon’s core strengths in other disciplines. Current neuroscience initiatives and programs at CMU, including BrainHub and the joint CMU/University of Pittsburgh Center for the Neural Basis of Cognition (CNBC), will form the foundation for the new institute that will be jointly run by the Dietrich College and Mellon College of Science. Launched in 2014, BrainHub has advanced the university’s position in the field, with support from a number of sources, including the federal BRAIN Initiative, foundations that include the Hillman Foundation, the Heinz Endowments and the Fine Foundation, and individuals, such as Kris Gopalakrishnan. BrainHub supports Ph.D. students studying the brain and behavior across the university, has created new research collaborations using funding from the ProSEED program, instituted a fellowship program with the Indian Institute of Science and developed community outreach programs to engage the public and policymakers in the importance of basic science research. It also brought together close to 50 faculty members from across campus who are studying the brain. Work done by these scientists have led to a greater understanding of human cognition, action, memory, autism and Parkinson’s disease, and helped further technologies, such as neural prosthetics, brain-computer interfaces and innovative tools for imaging the brain in action. These efforts will build on the pioneering training and research fostered by the CNBC. Founded 24 years ago, the CNBC is an interdisciplinary research and educational program that brings together CMU’s expertise in cognitive and computational neuroscience with the University of Pittsburgh’s strengths in basic and clinical neuroscience. It is home to the top-ranked neural computation doctoral program in the country. As director of the new neuroscience institute, Shinn-Cunningham will continue this agenda and set a strategic direction for brain science at CMU, assessing the current strengths and identifying needs. 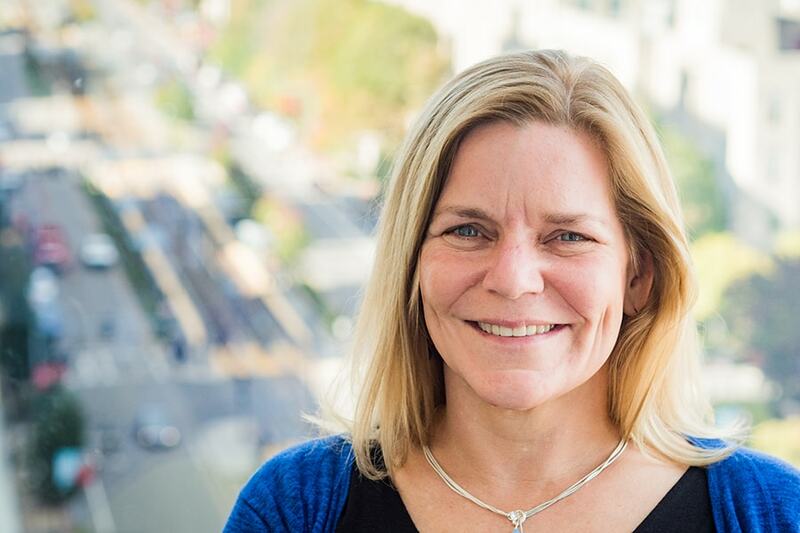 She will take over leadership of BrainHub from Alison Barth, professor of biological sciences, who has been interim faculty director of BrainHub since 2015, and CMU leadership of the CNBC from Rob Kass, the Maurice Falk Professor of Statistics and Computational Neuroscience, who has held the position since 2015. Gerry Balbier will continue as the executive director of BrainHub, working with Shinn-Cunningham to build a world-class environment for research, training and programming. Shinn-Cunningham, a professor of biomedical engineering at Boston University, graduated from Brown University and earned both her master's degree and Ph.D. from the Massachusetts Institute of Technology in electrical and computer engineering. Before her time at Boston University, she worked at Bell Communications Research, MIT Lincoln Laboratory and Sensimetrics. Shinn-Cunningham has built her research career around applying math and engineering approaches to perception, specifically hearing and speech. She is best known for her spatial hearing work on the “cocktail party problem,” which looks at how the brain uses attention to block out certain sounds and pay attention to others. In addition to directing CRESCENT, which supports 40 faculty members across three of BU’s academic units, Shinn-Cunningham has led several multidisciplinary research centers. In 2012, she took over leading the National Science Foundation-funded Science of Learning Center CELEST, and for four years brought researchers from five institutions together and generated additional funding from the NSF, National Institutes of Health and Department of Defense. Shinn-Cunningham will officially join CMU during the 2018-2019 academic year and believes that CMU’s collaborative culture combined with its growing excellence in cognitive and biological neuroscience will form the perfect foundation for the next generation of brain science. Renowned auditory neuroscientist Barbara Shinn-Cunningham is interested in how information is processed in the brain.